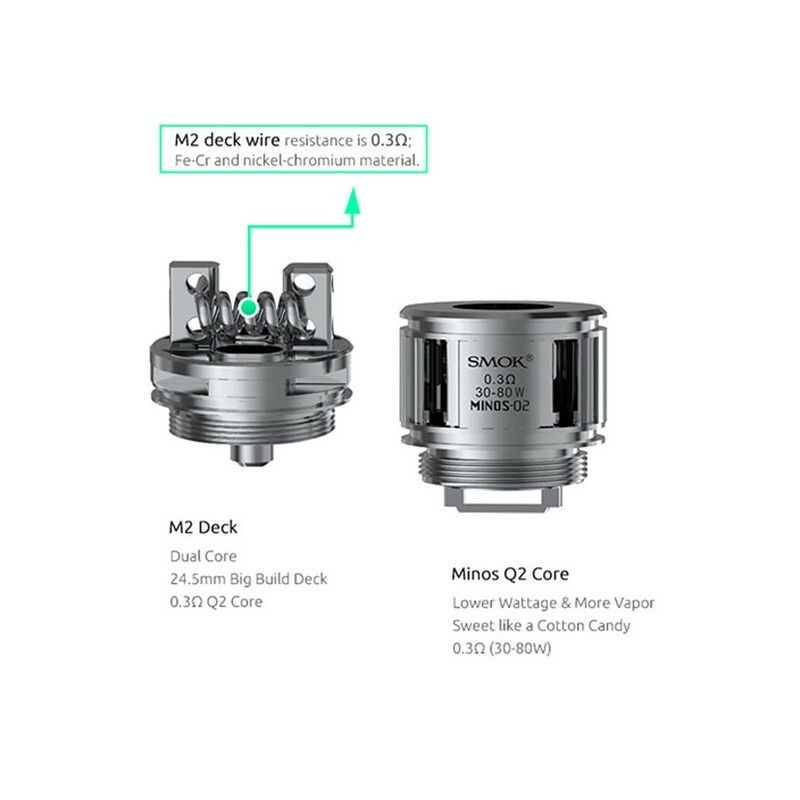 As known to all, vapors would like to enjoy the best taste; the taste king style tank - 25mm Minos Sub tank from SMOK will provide you with a stormy vaping experience. 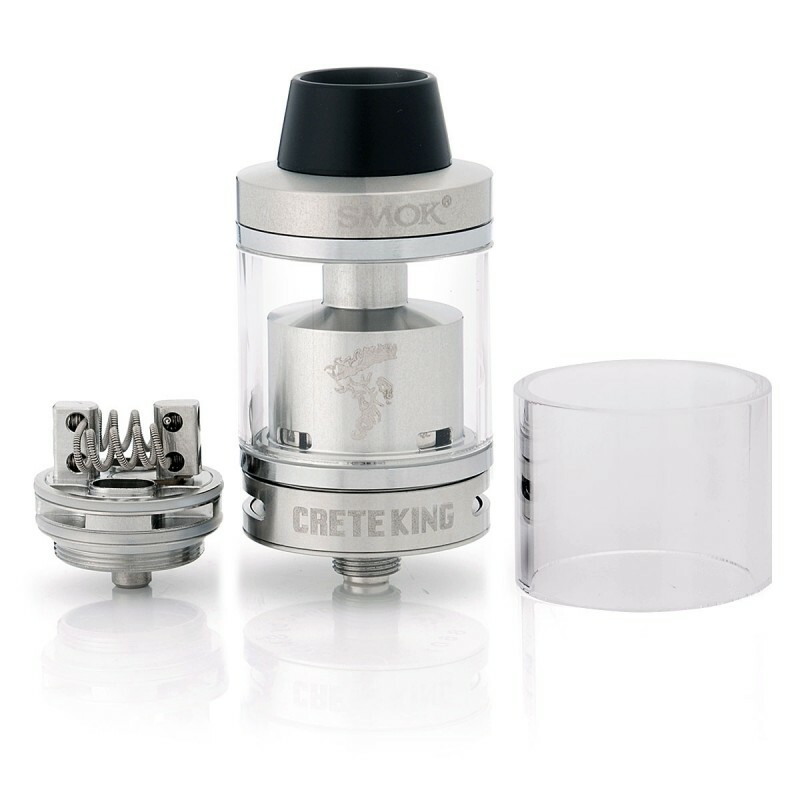 The glass tube features with simple design; completely transparent tube is easy-to-read the e-juice capacity. Bottom airflow system has two big slots evenly spaced on the bottom, which helps you enjoy an extremely open draw. 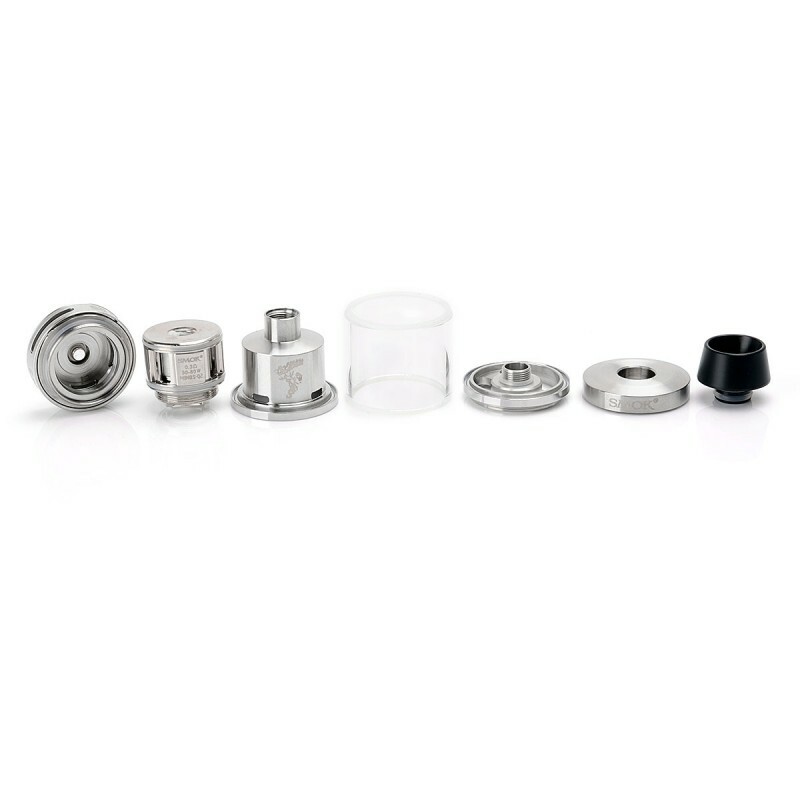 The removable top cap filling system allows you to refill in-one-go. 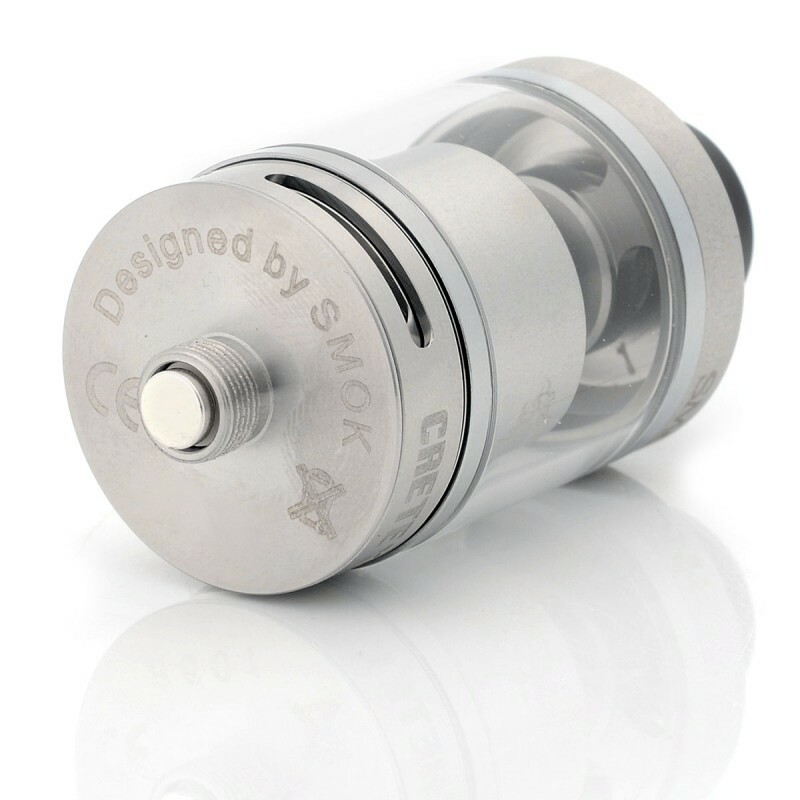 The 510 thread compatibles with most TC mod of SMOK, now you can have a nice vaping experience! There are two adjustable air slots evenly spaced on the bottom, airflow can be adjusted freely, which allows you to have an extremely open draw. Top Refilling System, Filling in One Go. 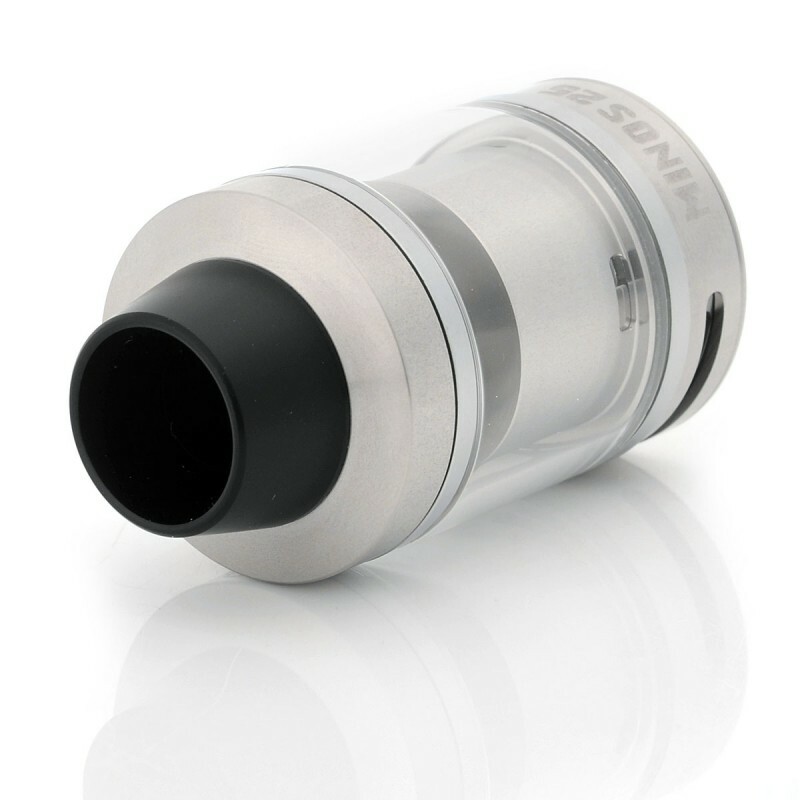 Minos-RTA top refill system with hinge lock, you just need to swivel its top cap, and then fill easily. 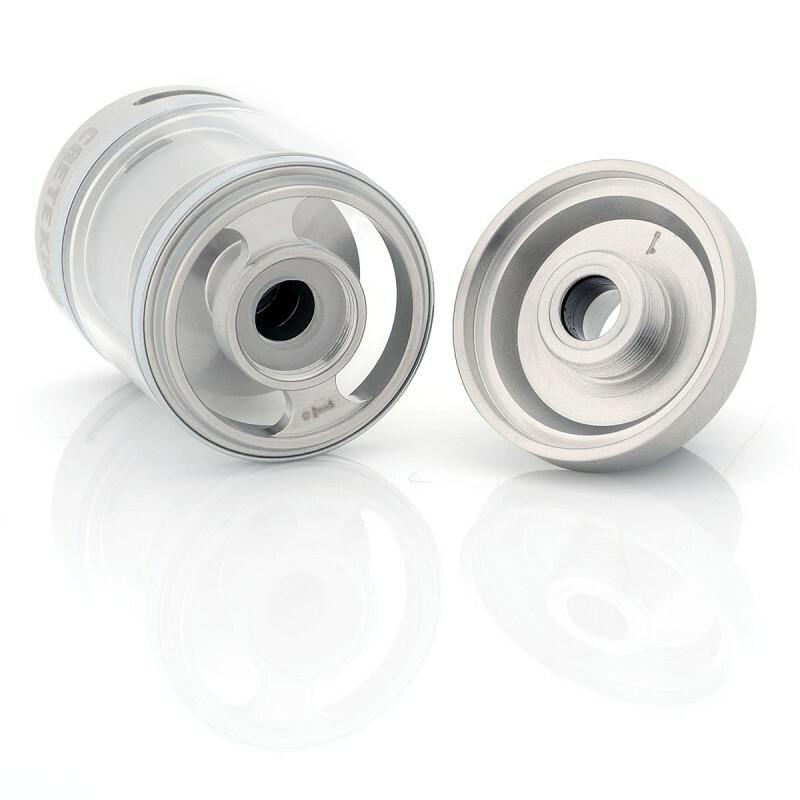 And the leak proof e-liquid slot can significantly solve leaking problem.